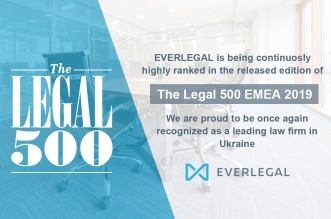 The law firm EVERLEGAL has a pro bono partnership program - lawyers of the company support public organizations that realize projects in the social sphere, implement the latest technologies and promote quality of life of Ukrainians. Also, the team supports non-profit organizations in their activities. Now the company assists 10 public organizations. 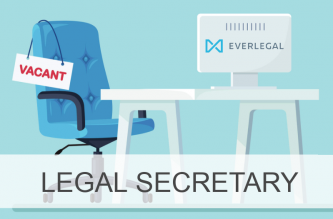 Oleksandr Ruzhitsky, partner at EVERLEGAL and head of Pro Bono direction in the company, told about partnerships with some of them. The firm represents the interests of the largest running club in Ukraine TOP RUNNERS in a dispute with the Ministry of Youth and Sport regarding the abolition of the order number 5232/1746 dated 27.12.2017. According to this order, the certificate and insurance are required for participation in almost all official sports events in Ukraine, even such as bowling and darts game. A medical certificate can only be obtained at designated dispensaries by the Ministry of Youth and Sports. This order violates a number of regulations, such as the right to freely choose a doctor and health care institution. EVERLEGAL lawyers submitted an application to secure a claim to the District Administrative Court of Kyiv and partially suspended certain provisions of the order. The court is currently considering a dispute over the complete cancellation of the order. The law firm is also a partner of the public organization RUNDAY, which arranges free running races in various Ukrainian cities. Every Saturday, more than 6,000 participants gather in the parks of their cities and run along five kilometers together. 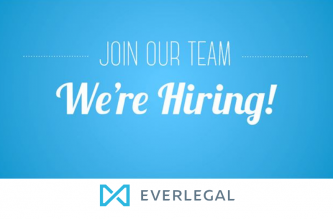 EVERLEGAL provides this organization with pro bono legal services such as advice on current activities, relations with sponsors, development of internal regulations, policies, and others. Another organization that the law firm consults is "Mystetskyi Arsenal" - a national cultural-artistic and museum complex. In the projects of "Mystetskyi Arsenal", such as various exhibitions, festivals, lectures, and other events, issues of importance to society are raised and debated. EVERLEGAL signed a memorandum with "Mystetskyi Arsenal". According to it, the company advises the complex on legislative changes, cooperation with organizations of all forms of ownership and foreign countries, holding and organizing cultural events. For example, the firm recently advised "Mystetskyi Arsenal" on legalizing partnerships with Ukrainian and foreign artists, organizers of exhibitions, events, as well as other cultural figures. Cult Food is another social project our law firm supports pro bono. The purpose of this project is to modernize the assortment of food in school canteens and to create a new set of recipes that could be used in all schools in Ukraine. EVERLEGAL has been cooperating with the project for the third year already. EVERLEGAL lawyers advise the team on mechanisms for protecting children's rights for healthy eating if the assortment or quality of products in the school does not meet the standards, as well as the legal issues of introducing new recipes in school dining. As a result of hard work of the team of lawyers on the project at the end of 2018, the State Service of Ukraine for Food Safety and Consumer Protection issued a positive Conclusion of the State Sanitary and Epidemiological Expertise on new recipes for dishes for children of educational and recreational facilities. This year, the Cult Food team will begin to introduce its collection of recipes in Ukrainian schools and will continue to enlist the support of the EVERLEGAL team. The law firm also helps Kyiv Cyclists’ Association, which promotes the creation of full-fledged cycling infrastructure in the capital. Lawyers advise the Association on various issues of current activities, as well as provide legal assistance to cyclists who have become involved in the accident. For example, due to legal support, it was possible to bring to a criminal responsibility a driver who knocked down a cyclist on one of the Kyiv bridges. Another project that the company supports pro bono - the NGO " Family of "Heavenly Hundred" Heroes", which brings together relatives of the victims during the "Revolution of Dignity", requires a proper judicial investigation of crimes during the Maidan and warns against impunity for those who gave and committed criminal offenses. Starting from the autumn of 2016, our firm advises the public organization on various issues of activity, such as the development of internal policies and regulations, the statute of the organization, lease agreements, memorandums of cooperation with state authorities, and others. Today the company actively maintains support of the organization for the success of its projects. The firm also helps the public organization "Line of Psychological Assistance to ATO Veterans", which is planning to provide day-and-night emergency and qualified psychological support to the military and veterans via telephone. Emotional support, counseling on psychological health, trainings, seminars, educational events, conferences for raising the level of psychological culture of the population are also provided. The project is currently on a startup phase. Therefore, the team of lawyers provides free advice on the foundation and future functioning of the legal entity for the project, as well as the definition of its organizational and legal form and the preparation of constituent documents. The plans also provide legal support for labor relations, taxes, and other issues after the registration of the organization. Nextbike is a public bicycle rental system operating in more than 150 cities around the world on 4 continents. Although Nextbike is a commercial project, its idea coincides with the EVERLEGAL values and the vision of urban mobility of the future, the transition from "city for cars" to “city for people." Therefore, the team of lawyers advises a project on the protection of company property from unlawful actions of third parties.